Since its inception, the Wellness Center has been actively engaged in community education regarding the importance of preventive health care. Through these efforts, health care professionals and the Armenian public are learning about the benefits of a Western-style system of health care delivery. The Center provides free-of-charge public lectures on the importance of early detection of cancer and breast self-examination on a regular basis. 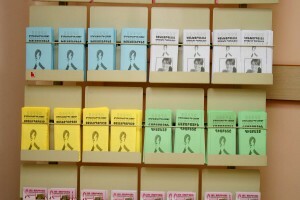 In addition, as our primary target is the mothers of Armenia, with services current plans to also include their husbands and families, the Center issues and distributes several informative pamphlets by the thousands throughout Armenia on healthy lifestyles and a variety of health care matters emphasizing preventive health care.